Fine finish, impeccable quality and high durability are some of the attributes of the Absolute Black Granite Stone. 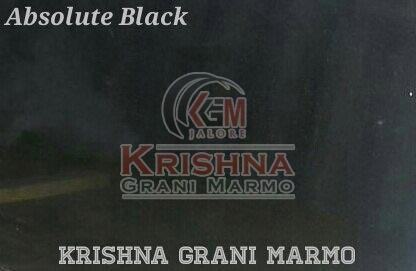 Our company’s name figures in the list of renowned Manufacturers and Suppliers of Absolute Black Granite Stones from Rajasthan. Available in customized designs, Absolute Black Granite Stones offered by us is completely scratch and stain resistant. Bulk orders of the Granite Stones are processed by us as per the specific requirements of the buyers.